Conceptual elements: Same bottom contours manipulated according to the outline/foil chosen. Single with double into Vee. Sizes tested to date: 4’11” - 6’4"
Flavor: Full volume,narrow, mini gun. Conceptual elements: Small enough to travel. Full enough for big enough waves. Plenty foam in a narrow beak-nose. Duck-diveable. A modern look at a full volume foil. Pined tail for control. Conceptual elements: AMT alphas with a T1 trailer or Standard Thrusters. Narrow enough to perform, Shorter rail line and wing breaks in tail serve for changes in the line. Conceptual elements: Very short, very narrow, not easy but always memorable. A tiny board can fit into tiny waves. This is a tiny board. Conceptual elements: Wide point back, small soft rails though-out, very subtle blended nose concave. Sizes tested to date: 4’10 1/2”” - 5”81/2"
Flavor: Crisp and refreshing. Short round as a groveler, or stretched as a step up. Conceptual elements: Narrower outline, three channels, twisted rockers, thruster. Sizes tested to date: 5’7”-6’3"
A round tail performance channel bottom. Suited to shred better the way you stand, set up to get in the juicy ones and wiggle on the softer slop. 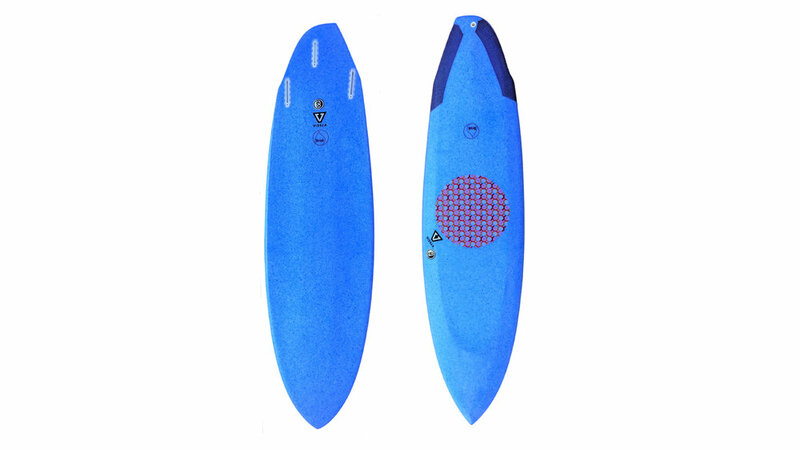 Groveler option with fuller foil slightly shorter than your standard short board, or stretched step dimensions for step up. Flavor: Floaty, pivotal and fast. 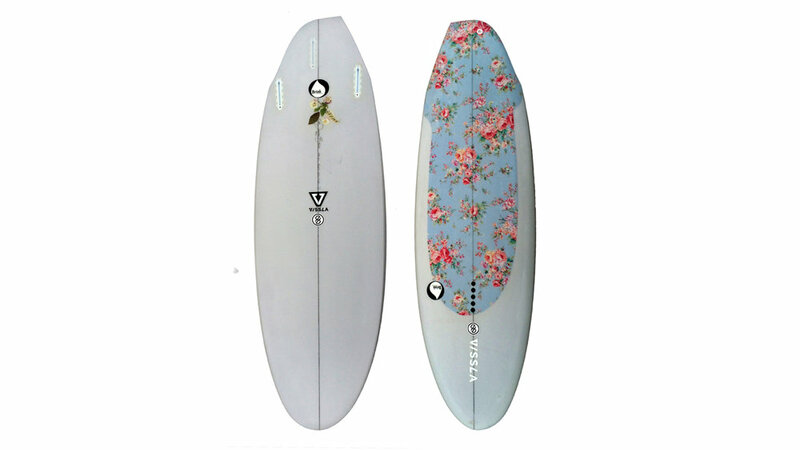 Conceptual elements: Short length, down railed full nose, twisted rockers ,tri-fin. Sizes tested to date: 4’10”- 6’2"
A small buoyant board with asymmetrical advantages beyond most and a compact platform for doing progressive surfing in tiny waves or challenging canvases. Pulled off-set swallow tail and full volume twisted rocker with a down nose and fast front foot set up. ride small, Asymmetrical only. Twin trailer in short realm, thruster in longer stretched versions. Conceptual elements: Glassed in Keels, fine foiled deck lines. A modern fish with soft down performance feeling rails with a single concave ending before tail exit. Glassed on 80/20 foil fins. Ride it short, kick the tail, carve the bowl, go fishing. Flavor: A board that surfs back up into your feet, holds fast variable high lines and always wants to be on rail. Applied to various plan shapes to suit your stoke. Conceptual elements: Chined rails, revolutionary bottom contours, hard edges, tri-fin. Sizes tested to date: 4’10 - 6’5"
This is it. It’s complicated but works day in and day out. Reverse rocker, round entry into double, into single, into double, "chinned rails", secret sauce. Available symmetrically or asymmetric. Order pro dimensions, groveler, egg or step up dims. Its a brave concept applied to various outlines and expected wave set ups. Recent and personal favorite. This new ground is feeling refreshingly comfortable. Sizes tested to date: 6’5” - 7'2"
Flavor: Smooth entry, aggressive banks and powers arcs. Conceptual elements: Pin tail, soft pinched down rails, rocker through out. 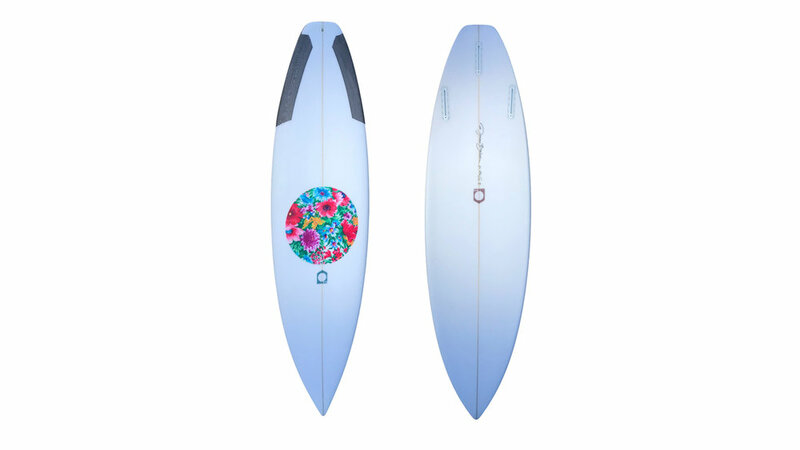 Sizes tested to date: 6’2” - 8’2"
Sizes tested to date: 5’5”-6’2"
An easy to ride grovler style short board. Single into double into V’ee off the short tail ends, keeping the board feeling lose on the rail with enough drive maintained in over all length. Thruster design, available in quad with suitable changes incorporated to suit. Asymmetrical or symmetrical choose to suit your stance if you want the helpful design built into it. 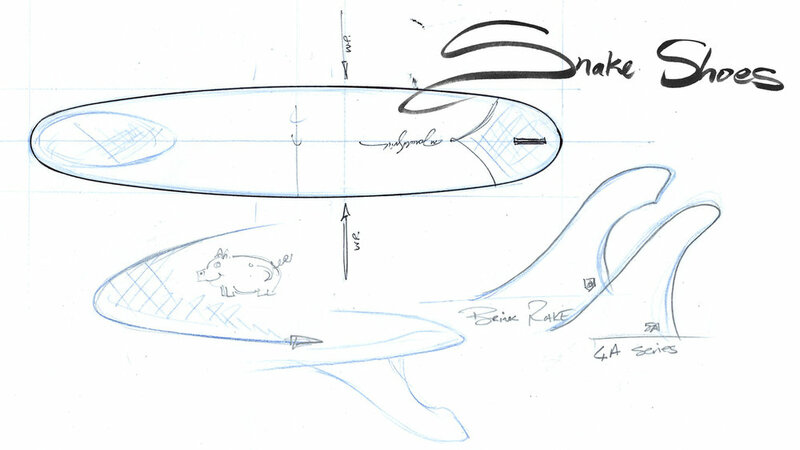 Conceptual elements: Rounded swallow tails, tri fin, tuck under release rail edge. 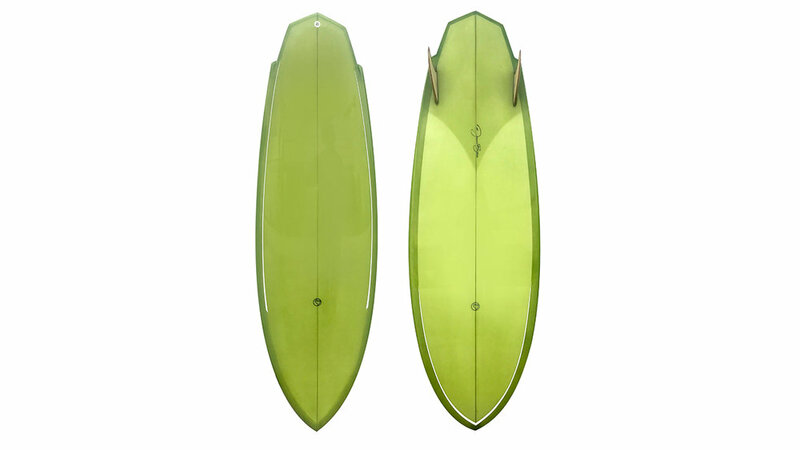 Sizes tested to date: 5’4”-6’0"
A grovler, performance orientated tri-fin or twin with trailer. Available in Asymmetrical or Symmetrical. Order pro dimensions or retro influence. Varying nose widths and balance of volume trough out to suit pro/retro changes. Flavor: Easy under foot, with memorable turn on offer. Conceptual elements: Flatter rocker, curvy outline, tuned performance rails and twisted rockers. Sizes tested to date: 5’4”-5’11"
A performance orientated groveler. Twin with Quad on the heels or balanced thruster. Order retro or pro dimensions with differences in the nose dimensions and over all foil. Asymmetrical only. Conceptual elements: Soft Nose concave, parallel outline with curve into the tail. All blended elements finishing into 60/40 soft pinched down rails. Sizes tested to date: 8’2” - 10’2"
An all around go to log designed with local Doheny to San-O waves in mind. Medium low rockers with a single fin and soft rails throughout, nose rider design that knee paddles easily and turns to stay in the pocket. 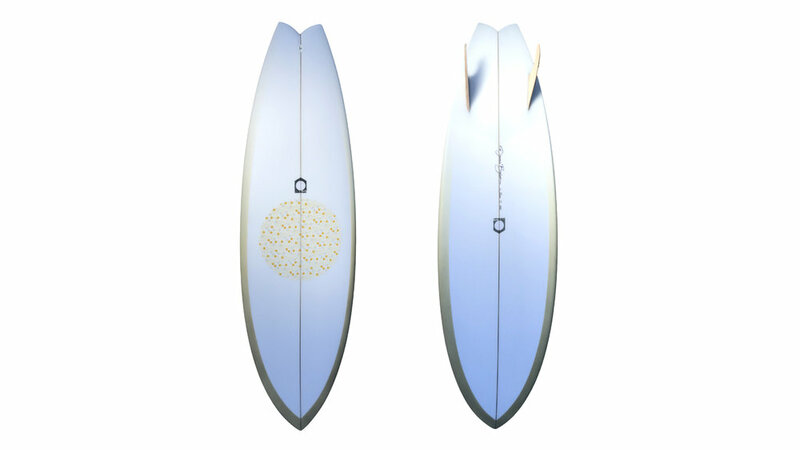 Conceptual elements: Round pin tail, tripple stringer. Sizes tested to date: 9’3”- 10’8"
Triple stringer minimum 20 lbs, heavy durable log made to work and last. Soft blended 60/40 rails trough-out. 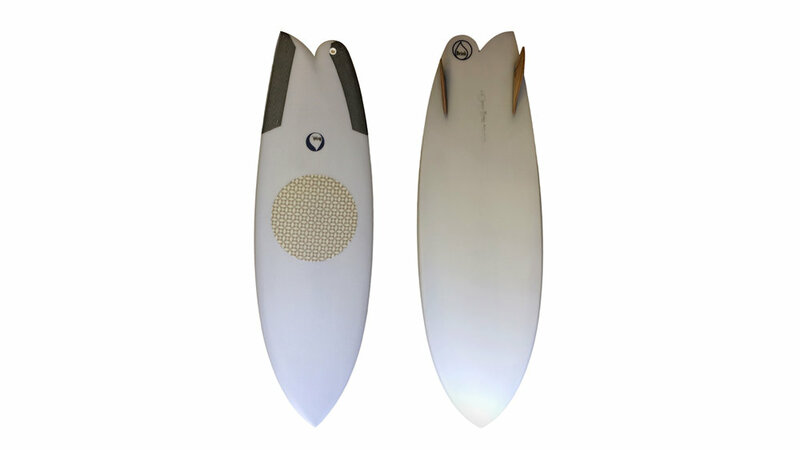 Single fin and nose ride design. Wide stable outline with sweet pulled round pin to promote tail turn setups off the back foot and drop knee carves. Flavor: Easy entry, controlled turns and variable re-entry. Sizes tested to date: 6’2” - 7’2"
Sizes tested to date: 7’6” - 10’6"
A fast rocker-ed big wave gun, Single fin quad or thruster. Chin-ed rails through the last third of the shape minimizing over all foot prints feel and maximizing sensitive and variable lines through the juice. Choose, Control with applicable style, consider great design. These are a selection of boards to cover most surfing bases. Consider the conceptual elements in each design and find what suits your fascination for the sea. 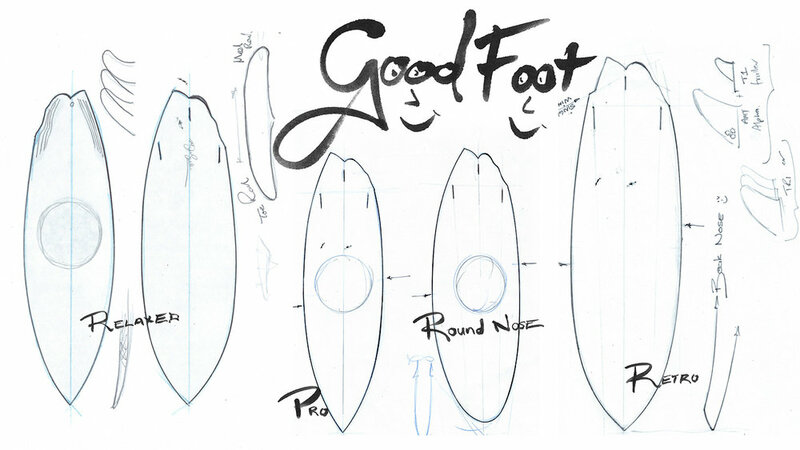 All boards are hand shaped, when it comes to tweaking things to suit your vision, ability and expected conditions, with an understanding of the elements in question the goal is always to make a cohesive craft, that flows and is dependable. Volume is considered but not calculated. Be honest with your surfing ability and technique. Choose a board, apply your volume level and desired length and together we can create a platform for excellence on which memories can be made. Progressive surfing is riding the right board in a good part of any wave to flow between sections, walking away with the most gratitude for what is always going to be something special and fun to enjoy. Enjoy your water. Asymmetrical changes. The boards are made to help you surf the way that you stand. The limited ability of ones weight distribution and the off set foots pivotal reference makes room for design to develop these differences and combat the common frustrating parts from any ride. Let your board be an extension of your feet, that are clearly not the same on any side. Think of it like this, these are your surf shoes. Hand made, carefully crafted and assembled for you to enjoy for a long time.